Our heads start bobbing. That's how we know we're really in the groove with this modern version of the classic music puzzler. 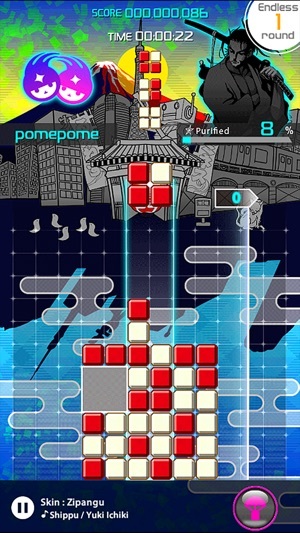 The pulsating beats of its dance score actually make it easier to tap, twist, and cajole falling blocks into perfect squares. Imagine if geometric arcade games discovered the art of the mixtape, and you’re there. 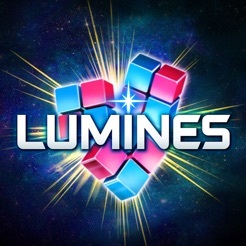 I am a massive Lumines fan. It was THE reason to own a PSP and the only game I ever awarded a perfect score to in my decade as a game critic. 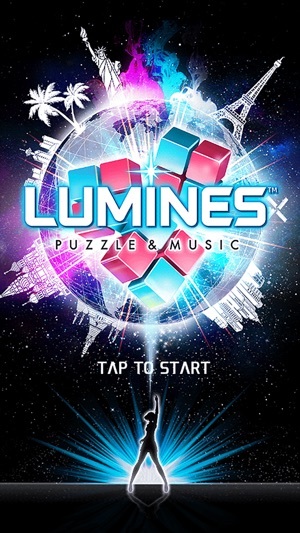 The recent release of Lumines on the Switch made me hunger for a fix, so I took a chance and got this game. I was immediately impressed by everything but one very simple but vital aspect - the controls. 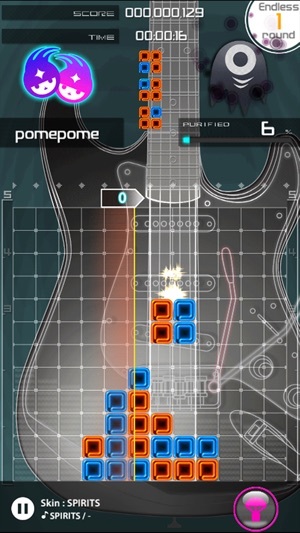 Lumines is a very fast, very simple game. In order to do extremely well you have to move quickly and precisely. Trying to recreate the controls on a touch pad is tricky and this release does a so-so job of dealing with it. The problem is, it seems to have been redesigned to be played with one hand, as tapping anywhere on the screen rotates the blocks and swiping anywhere on the screen moves them. With this setup, it’s far too common for the game to misread a quick, short swipe as a rotation, or a quick tap followed by a short swipe as only a swipe. This has ruined countless streaks for me which truly holds this release back. It could easily be fixed by designating one side of the screen to only read swipes and one side to only read taps. However, since this game hasn’t been updated in a year my fear is that the odds of this being included is extremely low. I hope that this review has an impact on future updates. I hope the current gen release will stir enough interest in the game to prompt some attention from the devs. 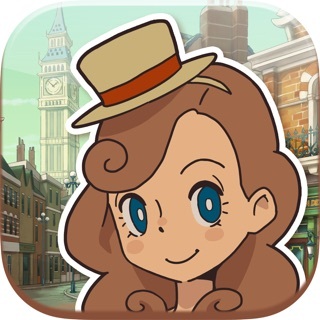 And if not, I hope this review helps out fans on the fence about this $3 game. 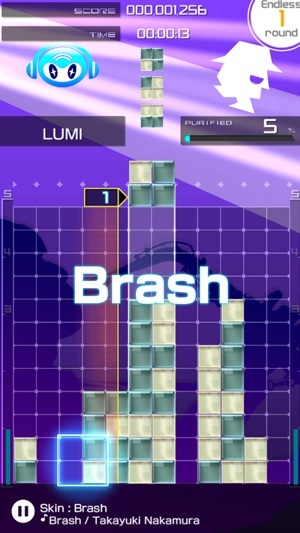 I no longer own an Xbox 360 or a Vita, so this is the only way I can play Lumines, and I'm not disappointed at all with this version. It makes some sacrifices to be played by touch, and I'm not as good at this version as I am with a controller, but it's still incredibly fun this way. I also love the new skins/music. If the developers are reading these comments, please bring the game to PS4/Xbox One/Nintendo Switch. People will buy it! I know I would. 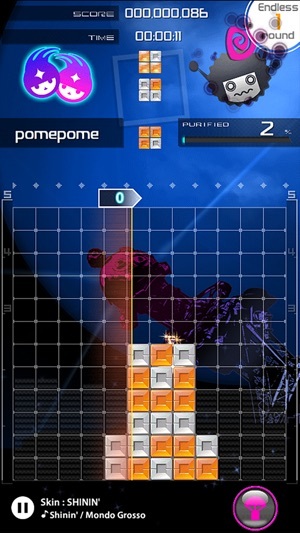 Lumines is the best puzzle game. Also, if the devs are reading this, please add a mode that lets us create a playlist from the available songs we bought. 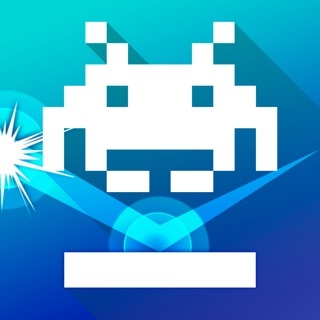 It's one of the best features in the other Lumines games.